Product prices and availability are accurate as of 2019-04-16 09:33:38 BST and are subject to change. Any price and availability information displayed on http://www.amazon.com/ at the time of purchase will apply to the purchase of this product. This set will suit both girls and boys. Let your little Chef use these cute rolling pins to complete his or her especial creation for you. 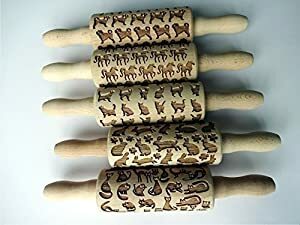 These mini laser cut wooden rolling pins are such a useful tool in the pretend play kitchen- perfect for embossing baking dough, play dough, clay or salt dough. 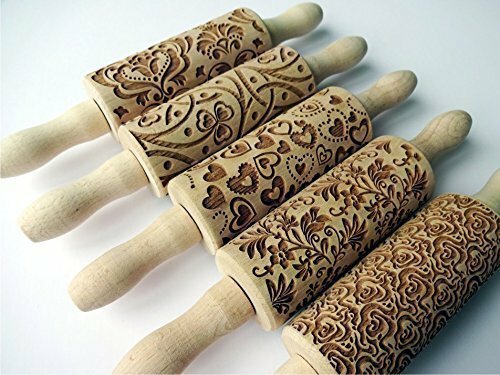 * Rolling pin measures are approximately 9.5" (24 cm) from handle to handle, embossing part 4,5 inches (11 cm), diameter 2" (5 cm), made of beech wood. 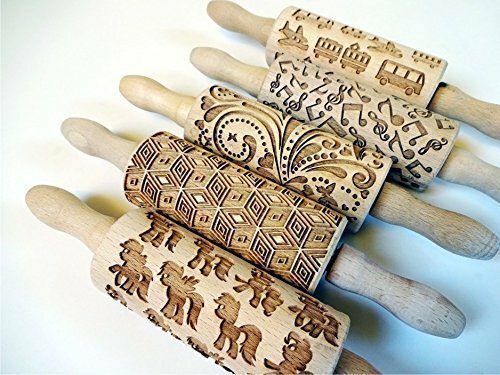 * We precisely laser-engraved these rolling pins, polished by hands and covered with protective wood conditioner made from organic food-grade oil. * The finished product is food safe. 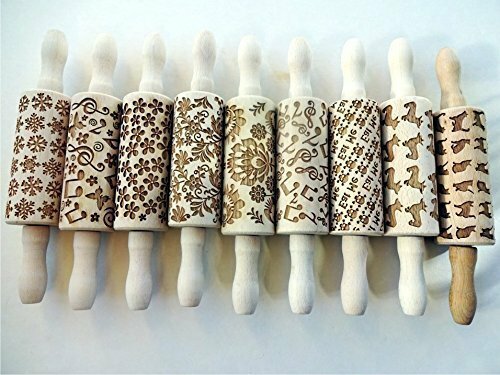 * Because this is a natural wood product there will be color variations that will be different from what is shown. * We do not to include invoices in any of our shipments. If you need an INVOICE, please let us know and we include it to the package or send by email. * Add an item (set) to your shopping cart. * Select option and write which pattern you want. You can write the pattern title or internet link. * As you check out, please double check the shipping address and make sure it is correct! * If you need rush shipping, you can select express shipping option at check out. Express shipping is 1-5 business days depending on your location. Please write your phone number if you order express shipping. It's for delivery courier.